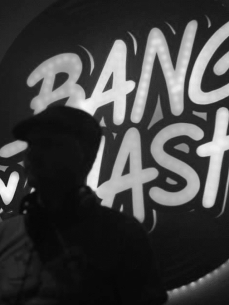 Straight from the Red Light District in Amsterdam the Bang 'n Mash collective is bringing you the hottest sounds, to put some funk into your soul! Their mission is to create positive dancefloor vibes by mashing up electronic dance with old school gems. Expect a seamless mix of funk, disco, hip-hop, breaks, dub, glitch-hop and drum & bass.